Ultimate TNT Wars Map: Ultimate TNT Wars was the outcome of an experienced map-maker being challenged by his friends to create a map that would blow his friends minds in less than five days. The map was finished in four days, and has been tested for bugs and glitches. Everything was built from scratch from the ground up, by one person, and no help. Ultimate TNT Wars puts two teams, the Nuclear Terrorists, and the Peace Keepers in a timed battle of wits and reflexes in a TNT War. 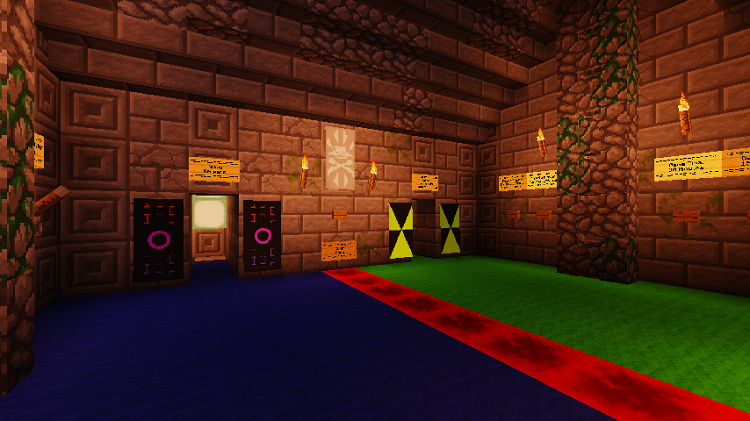 When the players join, they spawn in a stronghold-like room where they can select their game settings, (Ex. Game Time) and join their desired teams. There is also an option in spawn to “Enable Player Particles.” Enabling this gives players specialized decorative particle effects for their team, which look pretty darn cool. You can also be a spectator and watch the game. Dead players respawn as spectators. There is also another set of rules and overview of the game. In the middle of the front wall, is a button where the players can start the game. After a countdown, the players are teleported to their team’s side, where they can build for their desired time, 15 or 30 minutes. Once the time is up, the obsidian walls fall, and a deeper wooden wall is shown, and once broken down, exposes the enemy’s side. 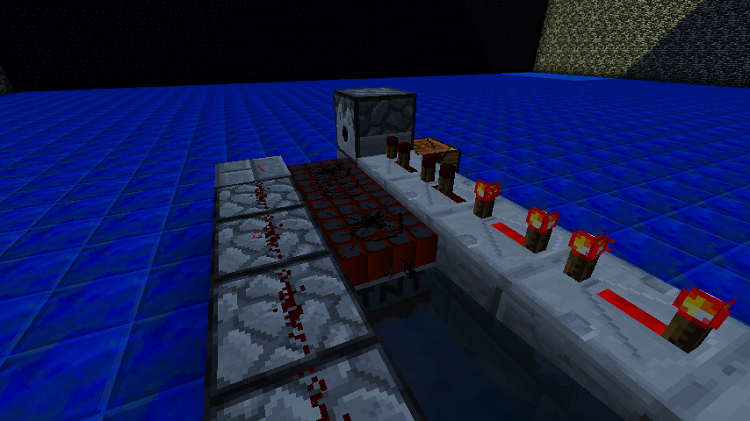 The goal of the game is to destroy to enemy’s reactor core, an Ender Crystal. Once broken, the alive enemies are declared the winners, and are awarded a “Win” on the sidebar. Then, everyone is teleported back to spawn. Player kills are displayed on the sidebar during the game, and total round wins are displayed on the sidebar while in spawn.